Nursing is one of the most popular majors in higher education, as many students seek to make a difference in the health care field. Since many nursing programs come with a hefty price tag with tuition and equipment costs, a lot of prospective students inquire about the types of financial aid available specifically for nursing majors. There is a wide array of scholarships, grants, student loans, and work-study options available. There is a plethora of scholarships available for nursing students at all levels. Many organizations offer nursing scholarship, including religious entities, private and public schools, small businesses, community groups, and federal agencies. The National Student Nurses’ Association offers scholarships for pre-nursing and nursing students who qualify. The National Health Service Corps offers scholarships for individuals enrolled in family nurse practitioner or nurse midwifery programs. Recipients must work for underserved areas following completion of their program. It is important to understand that nursing scholarships are often competitive. Some scholarship programs have restrictions, like enrollment in a specific program. Grants for nursing programs are beneficial to students because the funds do not have to be paid back. Grant programs are often automatically offered through financial aid offices to students who qualify. Many different grants are available such as the Federal Pell Grant and Federal Supplemental Education Opportunity Grant. The Federal Pell Grant is available based on a student’s financial need and the maximum amount of funding changes on a yearly basis. The grant is available up to 12 semesters and typically only undergraduate students qualify. The Federal Supplemental Educational Opportunity Grant is available to individuals with a significant financial need. There are also grants specifically for nursing students, such as the Nursing Research Grants offered by the American Nurses Foundation. The grants are available for nurse researchers to conduct research in various areas, such as AIDS care and hospice. Student loans are available for those who do not receive enough free aid to pay for all the costs related to nursing school. The loans include Stafford Loans, Perkins Loans, and Nursing Student Loans. The Stafford Loans are received through the Direct Loan Program or Federal Family Education Loan Program. Both programs offer subsidized loans based on the need for financial assistance. They do not accrue interest until after graduation. Unsubsidized loans are also available, but they do accumulate interest while students are enrolled. The Perkins Loans are low interest loans based on financial need. 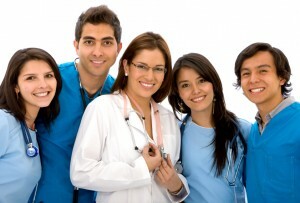 Nursing Student Loans are low interest government loans specifically for nursing students. State loans and private loans are also available. Private loans are not related to the state or federal government and commonly include higher interest rates. Work-study programs assist nursing students in paying for their education by working in jobs that are related to their field of study. The programs generally award funding based on financial need and the availability of money. Work-study programs not only help students pay for their education, but also help them gain practical experience for future careers. All prospective nursing students should complete the Free Application for Student Aid (FAFSA) in order to qualify for any of the financial aid programs. The form must be filed between January and July for the upcoming fall session. Nursing students should also collaborate with their school’s financial aid office for additional information and resources.